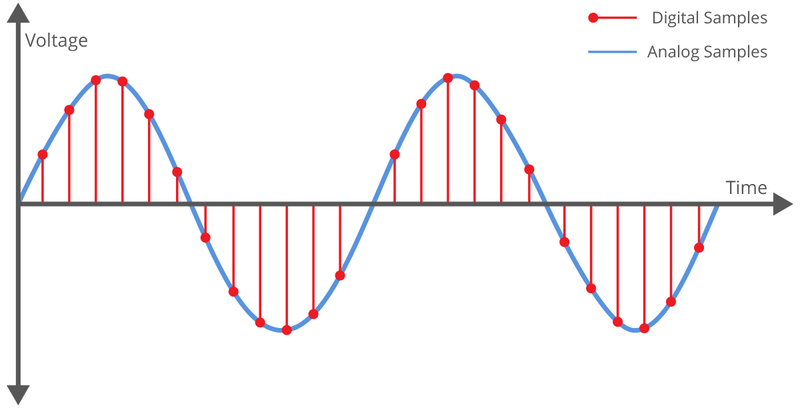 Analog to Digital conversion, also referred to as sampling, requires a clock signal to be present so the analog signals can be sampled at those discrete points in time. Once the continuous analog signal has been converted to a discrete signal, software can analyze or save the data. 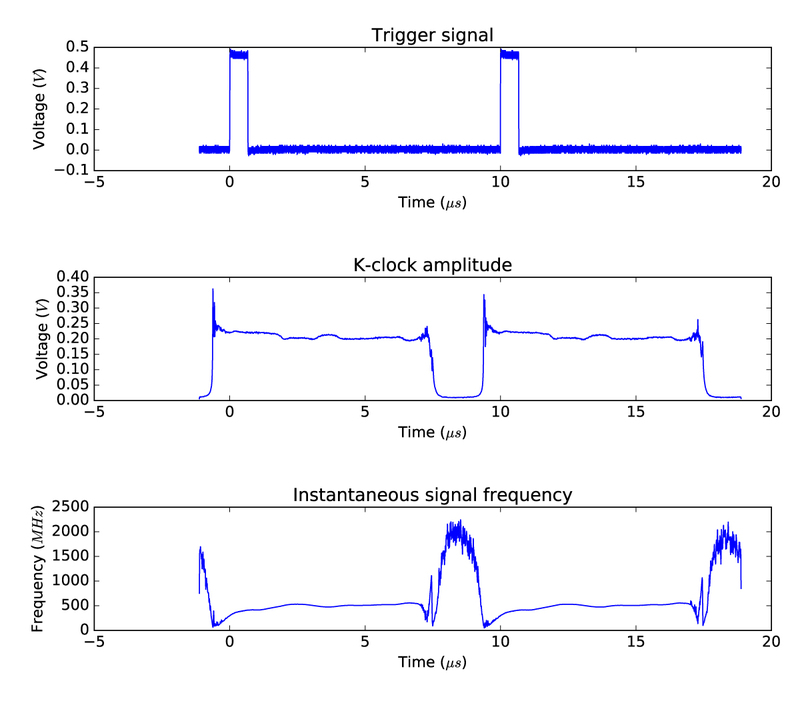 In vast majority of applications, the clock signal is a continuous, fixed frequency signal. Almost all of today’s ADC chips and boards have been designed to work in these types of applications and ADC designers take many shortcuts in their design based on the assumption that the clock frequency will remain constant while the device is in operation. In some specialized applications, such as Optical Coherence Tomography (OCT), there may be a requirement to sample an analog signal such that the resulting digital pattern represents the analog signal as a function of changing wavelength of the light source (typically a laser) being used. This light source is also referred to as a Swept Source. In the absence of variable frequency sampling clock, users have to sample the analog signal using a fixed frequency clock and then re-sample it in software (or FPGA) using an interpolation table. While this approach has been widely used in the industry, it depends on the assumption that the laser sweep will be identical every time. Any variations in the sweep rate will result in errors in the interpolated signal. An alternative approach is to create a sampling clock signal that is synchronized to the changing wavelength of the light source. This variable frequency clock is sometimes referred to as k-clock or k-Trigger. The “k” prefix refers to the fact that this clock signal is linear in wavelength (k) space but non-linear in time. The advantage of using k-clock for doing A/D conversion in OCT is that it allows the user to avoid having to resample the analog signal to be linear in k-space. An added benefit is that variations in the sweep rate are automatically adjusted for, since the k-clock is derived from the swept source in real-time. As mentioned before, almost all waveform digitizers on the market are designed for use with fixed frequency clocks. Using a variable frequency clock is not possible with these products. AlazarTech has designed many of its waveform digitizer boards to be compatible with variable frequency external clock in order to allow OCT customers to take advantage of k-clocks. From customized ADC chips to design of custom external clock circuit to design of custom data capture techniques inside the FPGA, a tremendous amount of intellectual property has been developed over the years to allow variable frequency external clocking. Other features, such as OCT Ignore Bad Clock and On-FPGA FFT can be used in conjunction with variable frequency external clocking to create complete OCT systems.